I was not feeling well, so as I thought about this experience it brought waves of bliss, although simultaneously being focused on the body made our Lord seem so far away. Then, today this leela happened which helped zoom into His Omnipresence with even sharper focus. I have an online shop on Etsy and Amazon where I sell my books. I also sell japa mala beads and sacred jewelry on these sites. Yesterday, someone bought my last rosewood japa mala on Etsy. I usually include a mantra and a brocade bag wih the mala. I have a box filled with mantras written on small pieces of paper, I shake the box and ask Swami to pick out a mantra for the person. I was ambivalent about ordering some more japa malas since it usually takes a long time to sell them plus I didn't really want to spend the money. I kept meaning to go into my Amazon shop and fix the inventory for the malas at zero. I took my time because it was very, very rare for someone to purchase a mala from me on Amazon. So, I kind fussed around and browsed ways to make my backyard even more beautiful, I had this romantic notion of sleeping under the stars in my jhoola which could be opened up into a bed. I bought a super large mosquito net that would keep bugs out and I also invested in artificial grass carpeting for the swing to further protect from critters during the night. japa malas from me on Amazon. I wondered what to do. Should I write to the customer and tell them that there were no more malas and to cancel the order. 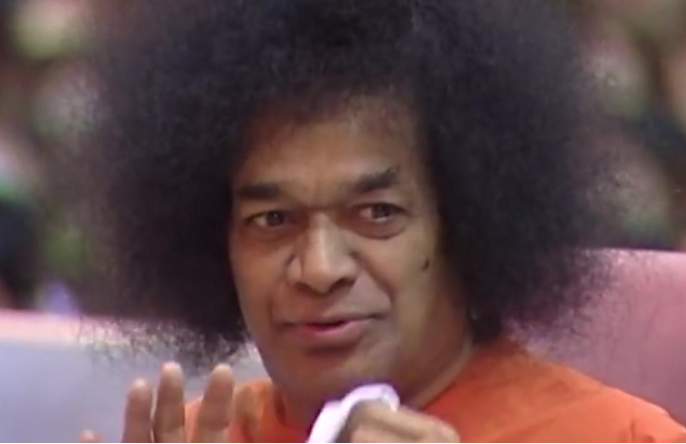 I could feel Swami's presence so intensely and His voice was like a loud clap of thunder - You can spend money on all sorts of nonsense, but nothing is greater than chanting the Name of God. Clearly Swami wanted me to order more malas. I rushed like a mad woman and quickly ordered more japa malas.